Television and radio stations use the broadcasting services delivered directly to their audiences and viewers. ISPs (Internet Service Providers) use satellite for delivering internet, whereas both cell phone and land phone operators can use telecommunication services to connect to, and with, their subscribers. Currently Bangladeshi TV channels are totally dependent on satellites owned by foreign nations for their broadcasting services. Bangabandhu-1 is going to reduce this dependency and thus, help us save valuable foreign currencies. Apart from meeting domestic demand, it will give us the opportunity to provide services for foreign TV channels and audiences and thereby earn foreign currencies. According to the demands existing today, we are planning to dedicate half of the 40 transponders for the local TV channels and remaining half will be deployed to serve the channels from other countries. Optical fiber is the most preferred option for data services now-a-days. However, there are some hard to reach areas such as islands, hill tracts, etc., where a satellite can be an alternative option for data services. Besides, communication satellite can offer effective redundancy option for both data and telecommunication services during the period of emergency and natural disaster, when land-based communication services are down. Bangabandhu-1 is an ambitious yet timely initiative of our visionary leader Prime Minister Sheikh Hasina, who has envisioned to build Digital Bangladesh by 2021. 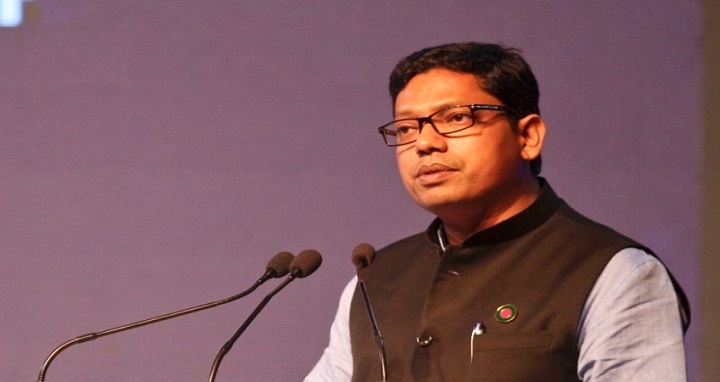 In this journey towards a knowledge-based economy, she is being advised by her most capable ICT Affairs Adviser Mr Sajeeb Wazed Joy, who is leading a technology-led transformation in Bangladesh. Bangladesh has already become a lower middle income country and met all three criteria to turn into a developing nation. Under the visionary leadership Prime Minister Sheikh Hasina and her Adviser Sajeeb Wazed Joy, I am highly confident that Bangladesh will emerge as a developed nation by 2041. In this journey Bangabandhu-1 already represents a remarkable milestone by opening up a new digital chapter in the history of the country and will be a crucial tool for further success in the future. As far as I know, Bangladesh will be the 57th nation to have their own satellite in space. While Bangabandhu-1 would always be our first satellite, we can be sure that this would certainly not be our last. We hope that Bangabandhu-1 is merely the first in a series of satellites to be launched in the days to come by Bangladesh. Through this project, Bangladeshi engineers will also benefit from the knowledge being transferred to them over the entire process. We can be optimistic that the day is not far when our scientists and engineers would be able to build our own satellites and further at home. The inspirational story of the moon landing, especially that of the celebrated astronaut Neil Armstrong, is taught in our schools and continues to amaze and motivate our children to think big in terms of space. We hope that with the launch of this satellite, we can inspire our next generation to become the celebrated astronauts and ground-breaking rocket scientists of the future. We are grateful to Thales Alenia and SpaceX for their great work in building and launching the Bangabandhu-1. As the name of our first ever satellite becomes etched in history, so will their names and contributions. Last but not least, and not least because the satellite is named after the great man himself, I would like to remember on this day, with the utmost of respect, our Father of the Nation Bangabandhu Sheikh Mujibur Rahman, who initiated the task of Bangladesh entering the space age by setting up the first ever satellite earth station of the country in 1974.